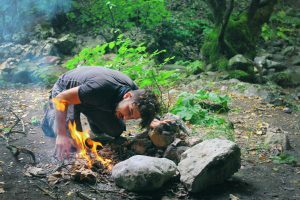 Camping can expand our intelligence. I know that seems like a stretch but think about this with me for a minute. But first, some backstory. This past week, a father reached out to us at Overland Teardrop Trailer to get some information about building his own teardrop trailer with his 14-year-old son. He wants his son to learn how to use tools, exercise spacial reasoning, and to learn creatively problem solve. I asked him what he thought of his son’s formal education. The boy attends a public school in the Midwestern part of the United States and the father had no complaints other than the lack of a shop, auto, cooking, art or other hands-on curricula for students to learn. Those of you who have followed Overland Trailer for a while know that both of us owners, Nathan and me (Mark), are former educators. Conversations like the one I had with this father fascinate me as it, too, is our goal to get more people (especially students) involved in the use of tools for creative problem solving). I am excited to help this dad and son team get the information, parts, and clarification they need to complete this teardrop trailer. Intelligence is a funny thing. When I even think of the word intelligence I immediately think of the brain. Perhaps that is because that is what the western culture values the most. Think back to the early, single digit years, of school. There are lots of coloring, crafts, and other hands-on activities for children that often involve both their body and minds. A little girl or boy can learn their ABCs in Preschool or Kindergarten by coloring a photocopied worksheet of an A with an Apple on it. Science is taught through the use of blocks or Legos. Math is also taught with items that are counted by hand. Students are almost perpetually creating something with their hands. Yet, at some point, without us even noticing it, those activities are filtered out of formal education (although that creative part of our brain still exists). Education becomes an intellectual endeavor more than a holistic endeavor. As Sir Ken Robinson Puts it, “The body is just a way to get the brain to the next meeting”. The brain is the cultural golden ticket and in effect, narrows education down quite a lot. School becomes more and more paperwork and less and less creative work. Ever so slowly, education in the western world, most clearly in the United States, has turned into a game of standardization. The cultural desire is that all students can perform the same tasks at the same level of competency, solve the same problems with the same speed, and know the same touchstone points about the culture itself. Schools drill this information deep into its students and then companies, who get government contracts, assess students several times per year against a standardized testing norm to ensure that the learning process is meeting all of the minimum standardized requirements. This sounds a bit cynical, I know. But it is true. Perhaps it sounds like the attempt is to make students into interchangeable parts? Don’t get me wrong. As an educator, I can appreciate a good standardized test but I think such a heavy emphasis on it neuters education from teaching the whole person. In his book Shop Class as Soul Craft, Matthew Crawford makes the following observation. There is a certain determination in craftsmanship. Patience is a strong element in craftsmanship. Creativity to “get it right” is a requirement in craftsmanship. It is something that cannot be tested by filling in a bubble on a scantron. As a former teacher, academic advisor, and school administrator, I have closely watched education trends from the early 2000s until now. As many manufacturing jobs went overseas, schools started shutting down shop classes, home economics courses, and other hands-on lab courses. Of course, society still needs people with those skills but now they are often skipped in the formative years. In 2014 at Overland Trailer, we started a work-study program with a local high school to help fill the gap left by standardized testing. Students learn everything about running their own business, marketing, and the process of building a teardrop trailer. Certainly few of them will ever start their own teardrop trailer business but they do have the experience with tools and an understanding of what it takes to run a business. It pushes them to think creatively about marketing, construction, and negotiation. Creative thinkers solve problems today but, more importantly, they’ll be the ones solving the problems of the future. Cynically, it seems that Universities have engineered the entire educational system to be focused on University admissions. So the schools cut out programs that don’t lead to “jobs” directly. Yet these programs build a person’s ability to think creatively or enhance their emotional/mental health (factors which do directly relate to “the job”). Though it is public education, it seems that we forget that it is also big business. Jobs are the goal of a university (or should be). Yet the academic world and the business world don’t see it the same. Universities teach the same material to the same people at the same pace. The point of university is to attain more credentials rather than more workable knowledge. It does exhibit a person’s work ethic but does little to help with creative problem-solving. Everyone gets the same degrees in mass. Those degrees are worth less and less in a workplace so more degrees are needed. Universities benefit again. Now that is a cynical point of view but consider what many big companies are now doing. Many are starting their own education programs for high school graduates. The company trains them, on the job, in the industry that they operate. They teach them how to implement software, negotiate, and so much more. These employees are rising through the ranks of credentialed employees because they have working knowledge and creative problem-solving skills that allow them to perform better. Of course, there are always exceptions but my point is that businesses are becoming less and less satisfied with the university credential. Certainly, a university degree is generally still worth the investment. However, the degree could serve the job market better by broadening the scope of their education process. This is where I get excited. There is a growing movement in education – Makerspaces. The allure of fancy technology plays a big part in this but it is also the hands-on education that appeals. Robotics leagues are popping up everywhere, 3d printer labs are getting installed and classes taught. Certainly, these courses are not the same as the old woodshop class. They’re updated with CNC technology, hands-on problem solving, and real-world parameters. These are technologies that we use in the construction of our Teardrop Trailers! We’re stoked for this movement. Think about it. Camping is a lab experience for the human mind. Not just for our children but for us older ones too. There are problems to be solved in creative ways. New challenges that must be met. 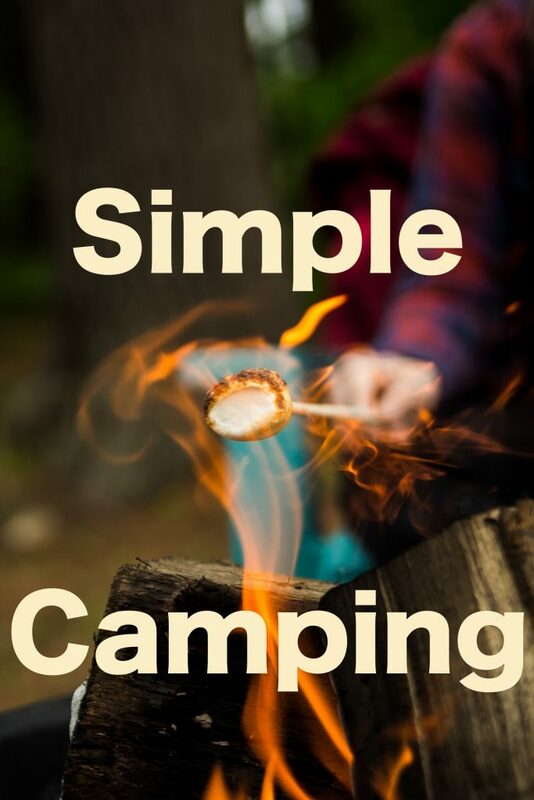 They’re as simple as backing an RV into a campsite, leveling the RV, finding a flat spot for a tent, combatting the elements and insects, starting a fire, and solving a food or toilet paper shortage. There’s a reason we love camping. We, like our children, largely work clerical jobs that are mostly standardized. There is little exercise for our creativity. Camping is all about creativity! It fulfills an innate human need and helps to round us out. 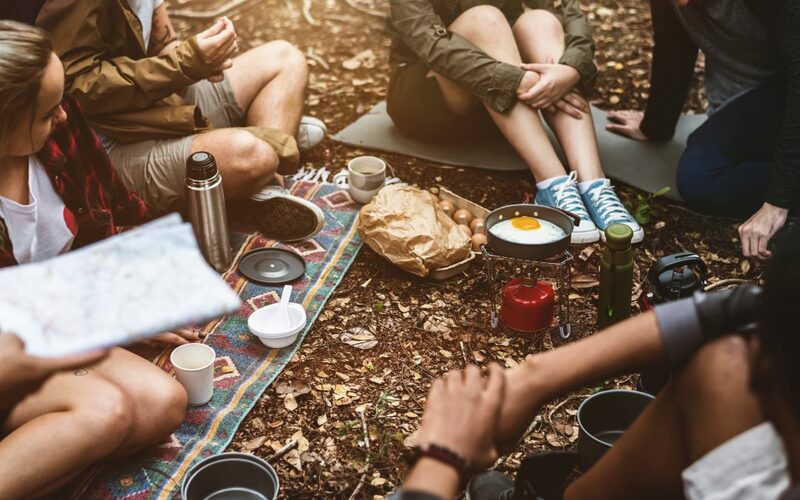 It is no wonder that being in nature and camping are tied to emotional stability, better sleep patterns, and positive mental health (Read more about that here). Camping feeds a part of the camper that is atrophied. Health returns to the camper and they are revitalized when returning home to the responsibilities of that life. Camping builds our intelligence. It pushes our creativity and exposes us to the benefits of the outdoors. Even in November, when it starts to get cold, this is still a strong part of the human spirit. Feed it! Go camping or at least push more creativity into your daily life.